‘Diabetes Mellitus’ is a metabolic Disorder characterized by an increased blood sugar Level which is responsible for the complications seen as part of the disease. This condition can be caused by defects in Insulin secretion, Insulin action. Persisting High sugar level in the body causes several progressive complications ranging from single organ to multi-organ damage. India carries a huge burden of diabetics; the WHO estimates that the number of diabetics is likely to be 71.4 million by 2030. Indians as an ethnic group have a higher genetic propensity to develop diabetes and considering the rising trend of Obesity, Sedentary lifestyle, stress and smoking habits, the incidence of diabetes may continue to increase in future. PPBS (Post Prandial Blood Sugar) is 200mg/100 ml blood or more. Most of us understand that both types of Diabetes – Type 1 and Type 2, if uncontrolled lead to complications involving organs like the Eyes, Kidneys, Cardiovascular system, Nervous system, and gastrointestinal system. Just because a person is overweight or eating a lot of sweets, is he / she prone to suffer from Diabetes; what is Metabolic Syndrome? Nowadays, we hear of a lot of cases of diabetes in children, what according to you could be the contributing factors? Over the last two decades there has been an increasing trend of obesity in children and hence an increasing number of cases of type 2 diabetes in children and adolescents. 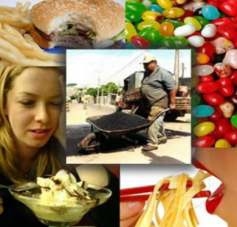 The prevalence of obesity in school children is strongly associated with lack of physical activity frequent intake of fatty and refined foods generally seen in the high social stratum. So in a way we can blame our social set up where, due to lack of availability of time with parents , children are not encouraged to go out and play , but prefer staying indoors with laptops and videogames. Children also tend to copy the eating habits of parents and if the parents don’t set the right example children cannot be expected to eat healthy. Lifestyle changes are key to the prevention and management of type 2 diabetes. Diet : Dieticians take into account the individual’s levels of activity, dietary habits, weight and daily calorie requirements before planning a diet. Such advice should be sought in order to change one’s dietary habits for the better . Functional foods can also be included in the diet , for eg. 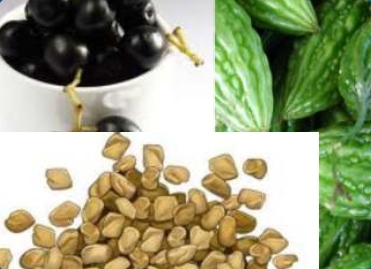 25 gms of fenugreek seeds taken 15 mins before lunch and dinner improves blood sugar control), Bitter gourd (Karela) and the fruit Jamun also improves sugar control when taken before meals. Exercise : helps improve blood sugar control, maintains ideal body weight, reduces risk of heart disease and induces a sense of well-being. Patients are adviced to check with their doctor before starting any new exercise program. Medications : There is a wide variety of oral medications and Insulins available for treatment depending on the stage and type of diabetes. , some diabetic patients can only be treated well with Insulin and not with oral tablets. Only a specialist will be able to individualize diabetes treatment. control and regular annual health checkup can go a long way to help prevent and in most cases treat the complications at the earliest (sometimes, even before they are clinically obvious). So to conclude -Regular Exercise,“Smart” eating habits , sense of responsibility on the part of the patient, medical treatment and regular consultations are key to befriend diabetes and stay away from complications. Hope this small interaction will help our readers understand the basics, as diabetes in itself is a vast subject . I wish you all the best of Health. Does our lifestyle play an important role to help prevent or even keep diabetes under control? Yes it does as already has been explained above . For those of us who have been detected with diabetes – please tell us how to prevent complications from occurring? Patients have to make a conscious decision to change their lifestyle for the better consisting of a balanced diet, and regular exercise. Prescribed medications should be taken as advised. Blood sugars should be monitored at least monthly, screening investigations for complications should be done annually or more frequently depending on the condition of the patient. Can complications be detected before they become clinically obvious? you all the best of Health. To answer some of our common questions and clear our some myths, we have an expert’s speak edition this time featuring Dr. Mangesh P. Kamath, MBBS, DNB Internal Medicine ( NATIONAL BOARD, New Delhi ). He is a Consultant Physician and Diabetologist in Sagar Hospitals, Apollo Clinics, South City Hospital, Vijayashree Hospitals, Garden City Hospital. He is also practising as the Chief Consultant Diabetologist in Muktha Speciality Clinics. Overall Dr. Kamath has an immense experience in the field of Diabetology. For any queries, he can be contacted at mangeshkamath@gmail.com. information should do so only under appropriate medical advice.